In order to try to bring the otherwise cryptic budget process into the open, allowing members to understand its preparation and content and to participate in its construction, the following is proposed by Cllr. Ó Cadhla. Adoption of the proposal outlined below, and implementation (a separate task entirely), would represent an advance for democracy, the next logical step is to directly involve the community is setting the priorities for Budgets. Here is a statement Cllr. Ó Cadhla released on Budget day (13th November). Here is a copy of the adopted Council Budget for 2018 (good luck trying to get meaning out of it) – the Political Party ‘whip‘ system ensured that it was adopted without ANY modifications. The ONLY amendments to the Budget proposed were from the SF Party and then 6 other proposals from Cllr Ó Cadhla, (here they are) – Ó Cadhla’s proposed amendments were to give some minimum specific benefits, based on requests and on initiatives being followed to improve the lot of the people, encourage development etc. ALL amendments proposed we voted against, it was automatic, most members surrendered their responsibility to vote responsibly and in full knowledge, which they certainly didn’t have. That comprehensive training be arranged for members in the area of budget requirements, understanding the costs and revenues, their reporting headings (codes), the requirements of each division of Council, of Corporate Services and of the Municipal Districts. That such training be scheduled over a few months in the first half of 2018, so that it is completed in advance of preparations for Budget 2019. That, notwithstanding legislative reporting requirements, budget analysis by cost type; whether fixed, variable, consultancy, sub-contract etc. be made available to members, broken down over division and other cost centres and by significant projects to the lowest level of detail possible. 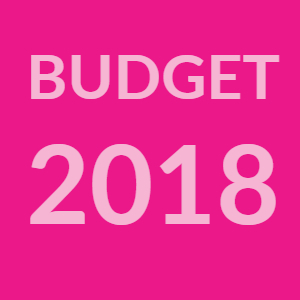 That, in future, ‘first draft’ estimates for the annual Budget be issued to members at least three months ahead of the annual budget meeting. That separate budget planning meetings be arranged so that members can participate in and influence the final draft budget and consider whatever amendments they might propose.